This groundbreaking film documentary reveals the inside secrets and tips of the knifemaking trade as they've evolved in the shop of R.W. Loveless. 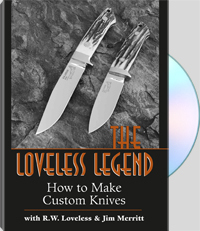 Learn the rare art of custom knifemaking from a true master as he shares his expertise and talks in-depth about his design philosophy.